Here at Environmental Door we are proud to support professional architects and general contractors throughout the Grand Rapids area with support and resources to ensure that your next garage building or renovation project leaves the homeowner happier than ever. We can work directly with you to determine your precise needs and requirements for your garage door system, from operational requirements to measurements, custom options, and more! We provide take‑offs, free estimates, and shop drawings to meet any schedule, as well as free consultations with Garaga engineers through a dedicated technical support hotline. Please call us today to learn more about how we can help! Be sure to ask yourself and the homeowner the right questions before getting to work on your garage construction or renovation project. 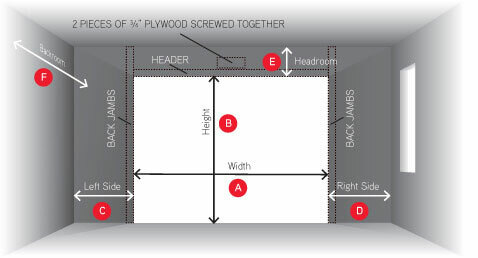 Please read our garage planning guide to help get you started! Before you select your residential garage door or even build your opening, you must ensure that there is enough headroom and sideroom to fit the door system. To help you determine the perfect measurements for a Garaga door, please download and print this worksheet. We can work with you to help match your dream garage door to your exact budget. Pricing depends on a number of factors such as size, features, and the details of your project, but most residential models from Garaga can be. Please contact us by filling out our online quote request form to request more pricing information. To ensure that your garage door is safely and securely installed for many years of trouble-free use, we strongly recommend that you leave installation to our team of garage door experts. However, if you are comfortable installing the door yourself, please download Garaga’s residential garage door installation guide. Are you renovating and need to change the color of your Garaga garage door? In the following tables you will find technical details and dimensions for Garaga residential and commercial garage doors. Please refer to these when designing and building a garage opening to ensure that a Garaga door will fit. Garaga residential garage door models are designed to fit the same width and height standards. If you require oversized doors outside of these dimensions, please contact us for more details. Garaga commercial garage doors vary in design and dimensions to meet your precise needs. For more information on each model, please visit the product pages or download a brochure.